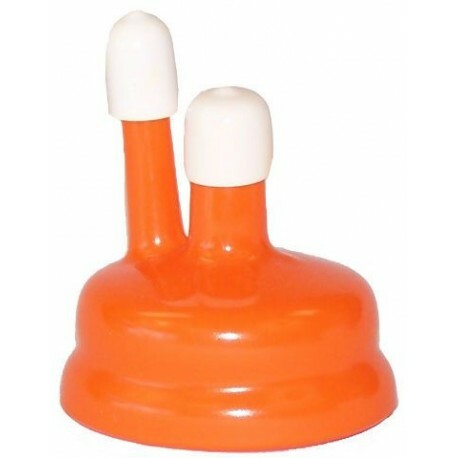 Orange Carboy Cap with 2" inner diameter. Measure your carboy opening to ensure the right size. Two spouts for a variety of uses. Insert air locks, siphoning tubes, probes for thermometers, or blow-off tubes!